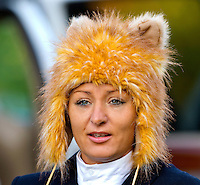 Event photography of the November 2012 annual open meeting of Mecklenburg Hounds, Inc., at which riders attend to the centuries-old traditions of attire, etiquette and hunting procedure. 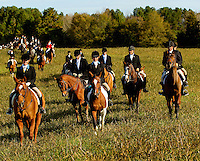 The 2012 opening meet was held in Monroe, NC.Mecklenburg Hounds is one of about 165 recognized hunts of the Masters of Foxhounds Association of North America. Annual open meeting of the Mecklenburg Hounds Inc.